WE LEFT Mr. Rapson in the unenviable position of having submitted his much criticised "unpunctureable" tyres to a 10,000-mile RAC-observed test from which he had to withdraw after 5,732 miles because three of the Rapsons on his Rolls-Royce were suffering from internal defects. Such an outcome, after the blaze of publicity in which his invention had been announced five months before, in July, 1919, and sustained subsequently, might well have cowered a lesser man, but not the irrepressible Rapson. The RAC reported that all four tyres suffered from the same defect, a flaw in the vicinity of the internal locking bead, which caused one to burst, but otherwise there were no punctures and the covers were in good condition apart from some chafing at the beads. With those small consolations Mr. Rapson had to be satisfied but he caused The Rapson Automobile Patents Company Ltd. to enter immediately for a similar test. This was the start of further criticism. In the meanwhile the Company made its excuses for the breakup of its tyres, reminding critics that the very first Rapson tyre was fitted to a car "hot, straight out of the pan" and from then on the car "had almost lived on the road, often risking being almost turned over by tearing round corners, having its brakes crashed on, etc., in an attempt to discover further flaws". They remarked proudly that this car had been "driven at terrific speeds, with the inventor of the tyres lying across the luggage carrier at the back watching and noting the action of the tyres when passing over bad surfaces. In our opinion that is the only way to get real information"—which may or may not come as a surprise to testers at today's great tyre factories! Unabashed by the test fiasco, they called for a go-ahead British chassis manufacturer to make their experimental Rapson car, which they had fully patented in respect of engine, carburetter, springing and transmission, but known only to the patent agents, and which they were convinced held the solution to "the car for the million". It seems that Rapson's idea was to have a power pack easily transferable from one body shell to another, like, he said, being able to take a horse out of one carriage and put it into shafts of another ! As this announcement was made in 1919 before the Austin Seven was so much as a twinkle in "Pa" Austin's eye, it seems that Rapson had set his sights on the Model-T Ford market. But so far as I know no-one came forward to build his suggested vehicle; they presumably preferred first to see his tyre claims vindicated and I do not think such a car was ever made . . .
Incidentally, when the RAC official report on the test appeared it quoted the Rolls-Royce used as a standard tourer weighing 5,146 lb. unladen, which gave 17.9 m.p.g. of behzole. The Rapsons used were 895 x 150 mm. (the actual dimensions were somewhat greater) with a 1 1/8 in. deflector beneath the centre of the tread. A cover weighed 47 lb. 10 oz., a tube 7 lb. and a deflector 29 lb. 12 oz. The tyres were at first inflated at 70 lb. on the fully-laden car weighing 5,550 lb., but after 2,000 miles this was reduced to 60 lb./sq. in. Other Rapson inventions released before the keenly-discussed second tyre trial was arranged included a spare wheel case and a patent carburetter, while the industrious Mr. Rapson announced that he was testing his new sparking plugs! In the summer of 1920 S. F. Edge joined Rapson Automobile Patents Ltd. as Chairman, being welcomed at a luncheon by Wilfred Oyler. With his clever ability to collect the big names, Mr. Rapson was able to announce that Rapson tyres used on the Prime Minister's Rolls-Royce limousine (Reg. No. R-2094) had run for more than 10,000 miles with no trouble and that two of them, taken off this car which weighed nearly three tons unladen, were on view at the lunch. Moreover, he had a letter from No. 10 Downing Street, saying how pleased Mr. Lloyd George was with them. His driver reported an all-round improvement in resilience, fuel consumption, cool running, etc., but thought the most outstanding feature was the absolute absence of skidding on greasy surfaces. (Mr. Rapson could not have put it better had he written it himself.) The letter from the Prime Minister's Secretary said of Rapson: "You have solved the puncture problem in a simple and yet most ingenious manner, and it is gratifying to know that a British inventor, who is incidentally a remnant of our old 1914 Army, is the first man in the world to accomplish this. The Prime Minister desires me to heartily congratulate you, and he sincerely hopes that your other inventions will be equally successful." After that Mr. Rapson probably felt he had shrugged off any nasty remarks about the outcome of the RAC test ! Incidentally, he used a square block tread pattern, rather like that used for the Dunlop Cord tyre, but flatter; in those days Collier, not Dunlop, used the herringbone tread. Although no sign of another RAC test of Rapson's tyres was apparent for some time, they continued to receive plenty of publicity. The Autocar tried to lay the overheating bogey by some runs with the now-famous Rolls-Royce (which turned out to be a 1915 model with 150,000 miles to its credit, overhauled only once, and capable of 70 m.p.h.) on Brooklands, with recording thermometers pocketed in the tyres. On one back wheel was a Rapson 895 x 150 "unpuncturable", on the other "a well-known American tyre". After a lap of the Track at 581 m.p.h. the former showed 101'F, the latter 124'F. Jubilant Mr. Rapson! A five-lap test was then made, at 48 to 55 m.p.h., with the final lap at around GO. Result—RapsOn, 144'F. ; American tyre 14CF. 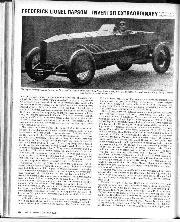 The Antocar hastily explained that this proved that the Rapson tyre took longer for the temperature to work through the outer cover Next test, substitute a new type of famous British tyre for the American and do five more laps, at approx. 50 m.p.h., with a final lap at 60 to 65. The Rapson showed 147F., the other British tyre 157°F. Anyway, here was a forthcoming Goodyear/Rapson challenge to arouse further interest. And what happened? Within a week TheAutocar published what purported to be a wire from Mr. Stein saying his firm objected to his proposed test and he was compelled to withdraw. Mr. Rapson got his £100 back. Mr. Edge wrote to say what a poor show it was—"In the good old days of Brooklands, no challenge was allowed TO be issued until the challenger had put up the money"— and Mr. Rapson wrote to say likewise, reminding Mr. Stein that the very make of tyre that he said would beat the Rapson to a frazzle was the same as had been used in the comparison tests. Mr. Stein brought brickbats on his head, even Mr. Fred Baker weighing in on behalf of Rapson and Britain. And then Goodyear stated that they had no knowledge of this Mr. Stein and his challenge. Could the whole thing have been a gigantic publicity stunt, steered perhaps by Mr. Edge and Mr. Rapson themselves? Be that as it may, all this publicity and controversy paid off. The close of 1920 saw Rapson working on an adjustable shock-absorberless suspension system to complement his tyres, which had been adopted, along with Rapson clip-on jacks, for HRH the Prince of Wales' new car, and on a quickly-detachable rim to which they could be fitted—he claimed to have demonstrated to S. F. Edge that with this Rapson rim it was possible to put on and take off a big stiff tube in 65 sec., without using any tools. Then there was the Rapson headlamp dipper, sufficiently similar to the lever-operated tilting headlamps later adopted by Barker, that I suspect they copied the idea, which Rapson generously decided not to patent. Lionel Ranson had used this dipping system when serving with the King's Messengers in France during the war, which is presumably how this 1915 Rolls-Royce was occupied during hostilities. Moreover, by 1921 the Rapson Company could produce a t'ery imposing fle-et of test cars. At Brooklands they were able to line up the following vehicles in the Finishing straight, prior to lapping the Track with underinflated tyres and without security bolts, and restarting up the Test Hill, to prove that even under these conditions Rapsons didn't divorce from the rims: a Daintier Thirty saloon weighing 5,170 lb. which was timed at 55 m.p.h., an Austin Twenty all-weather of 4,285 lb. that clocked 50 m.p.h., a 100 h.p. open Benz weighing 5,385 lb. which did 92 m.p.h., a 30 h.p. Armstrong Siddeley test chassis that showed 3,640 lb. on the Weighbridge and was timed at 68 m.p.h. and two 40/50 Rolls-Royces, the well-established tourer (5,0.67 lb. ; 71 m.p.h.) and a d/h coupe (5,422 lb. ; 65 m.p.h.). The last named was Mr. Rapson's very fully-equipped chauffeur-driven Car, It was a two-seater with a detachable egg-shaped tail containing Spares, cooking utensils, Kodak photographic outfit, suit and dressing cases, etc., and tanks for hot and cold water supplies, etc. The amenities covered a wash basin, stowage for six petrol tins, 3 ventilated food locker, a picnic table in the front compartment, and so on, while it is scarcely necessary to add that LE-4107 was shod with Rapson tyres, used Rapson plugs, Rapson jacks and carried a Rapson mascot as well as its AA and RAC badges and an Eagle radiator cap mascot. A very suitable car for Lionel Rapson! One might have thought that with all these fine cars to drive Mr. Rapson would have called a halt. Not a bit of it! When the new 40/50 overhead-camshaft Napier was announced, he promptly ordered one with a saloon body and professed himself extremely pleased with it. So here was this prolific inventor, living at "Hurtwood", Holmsbury St. Mary, near Dorking, with a farm, I believe, near Eastbourne, his products in use on the Rolls-Royce and Daimler cars of royalty and his factory at Burlington Road, New Malden, seemingly doing very nicely thank you. There was only one thing he hadn't yet accomplished, apart from a satisfactory RAC test of his tyres, and that Was their advocacy through racing successes. This, however, was not all that far away . . . The need to prove Rapson tyres must still have been occupying much of Mr. Rapson's time, for users front Lord Russell downwards were making it public that faulty Rapsons were not unknown. The Earl said his, on a Humber, did not puncture hut they "sat down", air having escaped front the tubes. 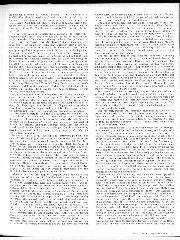 Rapson replied to such unfavourable correspondence in the Press with skill, sarcasm and sometimes venom, but it was all too apparent that customers did not like the faults nor the Company's method of refunding only part of the cost of defective covers, deducting for the mileage the user said they had run. That there had been serious manufacturing faults was borne out by the public resignation of A. W. Oyler from the Rapson Tyre and Jack Co. and Mr. Rapson's move to his own works, with a picked staff of tyre makers, at New Malden. It is doubtful whether in these days, in spite of the increased status of public relations, the public would have stood for so much Rapsonism. But it must be remembered that in 1922 Motorists were both fascinated and mystified by their new-found driving freedom and prepared to discuss at great length anything pertinent to it. 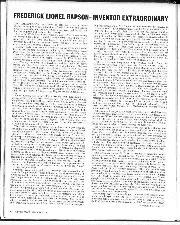 This the weekly motoring Press encouraged with unedited readers' letters, often of inordinate length. For his part, Rapson was obviously determined to convince the world of the merits of his tyres. In those times punctures were the bane of every driver and if only half the country's cars were fitted with unpunctureable tyres Rapson's fortune was assured. 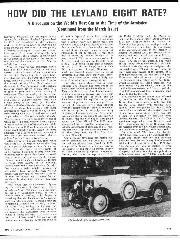 So, early in 1922, he announced another RAC test Of his tyres, again with a quite extraordinary sequel . . . The test was to be for 7,500 miles round Brooklands at 30 m.p.h. on a Rolls-Royce and for 5,000 miles on the road, at 20 m.p.h., on a small car. 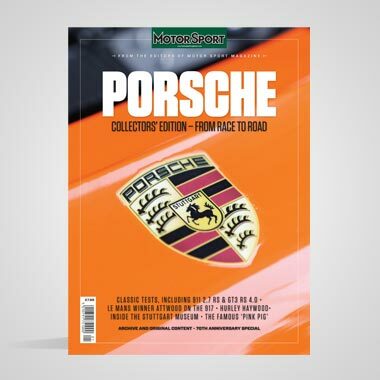 The Autocar announced this test, concluding with the words: "Although there is nothing on the Track likely to cause bursts or severe cuts, valuable data as to the amount of abrasive action of the hard concrete on the rubber tread should be forthcoming." Nothing at all innocuous in that, you might think. But it immediately brought a long and terse letter from F. f.. Rapson, saying he was cancelling the tests because of the critical attitude adopted by the Press! 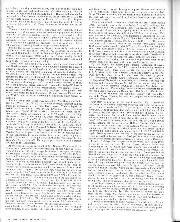 The Autocar retorted that it had merely published a statement about the tests emanating from Rapson's office and that his intention to further run the Brooklands test at a low pressure of 60 lb./sq. in. was not quoted therein. Readers rallied to support 'The Autocar. It was now apparent that Rapson was pleased to have any excuse not to have his tyres subjected to official scrutiny and again one wonders whether this feeble withdrawal on such dubious grounds had been planned in advance in his own mind? These matters notwithstanding, new showrooms were opened in Oxford Street, with fitting facilities, model 21 in. Rapson tyres on Barker disc wheels were given away as souvenirs and every attempt Made to push the Rapson tyre ahead Of competitors. By the Suntmer of 1922 the factory was turning out 600 tyres per week, the travellers' fleet included an ABC, a Sunbeam 14 and the aforesaid Rolls-Royce coup: and Benz, and the construction of the tyres was changed, so that a thick inner tube now incorporated the deflector. Moreover, at last the long-awaited 10,000 RAC trial was successful. Four 33 x 5 Rapsons on a 46 cwt. Rolls-Royce covered that distance on the road at an average speed of 19.9 m.p.h. without puncturing. At the end of this test two of the covers were put on the single-seater Lanchester Forty and again under RAC observation a high-speed 500-mile run on the Track was commenced. After 4841 miles the car had to swerve to avoid a motorcycle and one tyre burst, but the other survived the distance, at nearly 65 m.p.h. on this 39.3 cwt. racer. Thus encouraged, Rapson decided to display the durability of his tyres in further Track engagements. He was a member of the Brooklands ARC and had acquired this special Lanchester, which was an exceedingly imposing outer-circuit car, with a door to the cockpit, a toolbox on the side and headlamps for after-dark running. The car was said to have been built specially for Mr. Ranson and was similar to, could even have been an adaptation of, the one used by S. F. Edge for his single-handed attack on the 12-hour record in 1922. 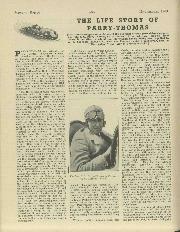 Rapson maintained his ability to associate himself with top names by getting no less a driver than J. G. Parry Thomas to drive for him on the Track. Thomas should have been able, one would have thought, to have commandeered all the tyres he wanted from the top tyre makers, for his fame was already considerable. But there were record attacks he had to abandon due to shortage of supplies, possibly because his heavy Leylands were hard on covers and no tyre maker likes repeated failures to be chalked up against his products. Be that as it may, Parry Thomas was no doubt pleased to co-operate with Rapson. Besides this racing programme, Ranson successfully undertook a 25,000-mile RAC test of his tyres in 1923, followed by an equally successful 10,000-mile test of his 760 x 90 light car tyres, and then four 33 x 5s did nearly 40,000 miles, one of them making the full distance, on a heavy Daimler. Ranson had stifled his critics and could turn to the relaxation of motor racing . . .
Thomas, who had been having a rather thin time with Continental and Goodyear tyres, put Rapsons on his Leyland-Thomas for a record attack at 13rooklands in 1924 and not only set fastest lap to that date of 124.12 m.p.h. but captured a number of records, including the World's five and ten miles. While he was not immune from tyre failures the Rapsons were doing well, although the hour record proved elusive, even when Thomas waited for a wet day to cool the Track. (A fire engine flooding parts of it proved equally abortive in 1923, on a long-distance record attempt.) Eventually Rudge-Whitworth wheels were used for a rapid precautionary tyre change, ordinary garage jacks, not Rapson jacks, being employed, although the tyres would have lasted the full 60 minutes. On this occasion Thomas took the World's hour record at 109.09 m.p.h. and many other records in addition. The battleship grey Lanchester, entered by Mr. Rapson, with its 101.6 x 127 mm. (6,178 c.c.) six-cylinder overhead-camshaft engine, made its appearance at the 1924 Easter races. Thomas lapped at 104.85 m.p.h. to finish second in the 100 m.p.h. Short Handicap behind Coe's "limit" 30/98 Vauxhall. 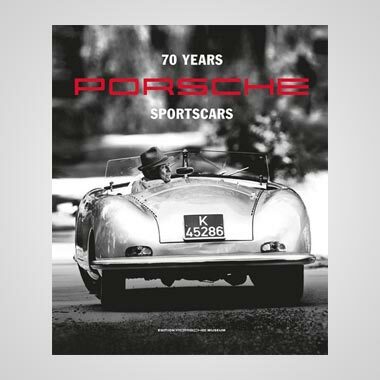 He came out again for the "90 Short", doing his standing lap at 81.96 m.p.h., and equalling his former speed for the flying-lap, which brought him home first, ahead of Gallop's Aston-Martin and Cushman's yellow Bugatti. At Whitson Thomas was slower in his first race with the big Lanchester but in the "100 Long" he pulled out laps of 86.17, 105.52 and 104.85 m.p.h., to finish second to Zborowski's Ballot. Perhaps deliberately, Thomas wasn't as fast in his three races at the 1924 Summer BARC: Meeting, but on August Bank Holiday, after two unsuccessful races in the Lanchester. he again started from scratch and, lapping at 84.86, 103.54 and 102.48 m.p.h., was third in the "90 Longbehind Gillow's Riley and an AC. During the year he also won a Surbiton MC race in the Lanchester. Thomas continued to drive the Lanchester for Mr. Rapson during 1925. 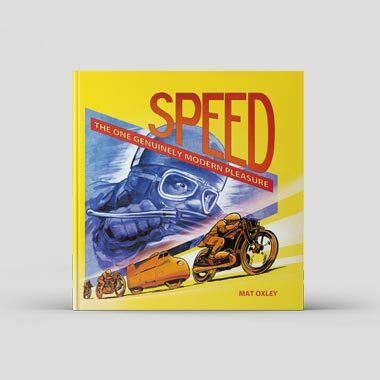 At first he was unplaced, suffering from stiff handicaps, but at the Summer BARC Meeting he gave four seconds to Mays' AC, being on virtual scrateh, and, lapping at 85.13, 106.19 and 106.42 m.p.h., he swept through the field of the "90 Long" to victory. This was repeated in the 100 m.p.h. Long Handicap at August, when, from the 5-sec. mark with only the Bugatti "Black Bess" behind him on the line. Thomas lapped at 85.87, 105.97 and 107.10 m.p.h. The season concluded with a second place in the Autumn "100 Long" behind R. B. Howcy in the scratch Leyland-Thomas, Parry Thomas taking the slim, grey Lanchester round at 87.38, 103.76 and 107.10 m.p.h. R. 13. Howey took a second place in the Lanchester at a Club Meeting. Incidentally, Ranson had chosen wisely, for the car rode Brooklands in an astonishing series of kangaroo hops, probably promoted by its long cantilever back springs, but its wheels stayed more often on the ground than was the case with more harshly-sprung cars. By now Ranson had achieved the supreme satisfaction of having Rapson tyres adopted by the STD concern for the racing Sunbeam and Darracq cars. They were on the Darracqs which finished 1, 2, 3, driven by K. Lee Guinness, Duller and Segrave in the 1924 JCC 200-Mile Race, in which they were also used by Joyce's AC, Mountant's Bugatti, Coe's Horstman, Eaton's Aston-Martin, the Bugattis of Blackstock and Densham, Hall's Austin 7, sharing with Palmers, and Thomas' Thomas Special, the last named being undertyred and thus in continual trouble, as I am sure Mr. Rapson was quick to point out. The winning Darracqs were on Englebert for the following year's race and on Dunlop for 1926, but in 1924 Rapsons were on the GP Sunbeams and the 3-litre Bentley with which Duff won at Le Mans. Thomas, however, was supplied by Dunlop for his own cars, after 1925. Our story is nearing its end and it remains only to round off the career of the Ranson Lanchester by saying that it was out again, in Parry Thomas' hands, in 1926. Right away, at Easter, it won the 100 m.p.h. Long Wear from Bamato's Bentley, which had started nine seconds earlier, with laps of 88.15, 105.52 and 108.74 m.p.h. So consistent was Thomas that he pulled out another 108.74 m.p.h. lap at Whitson, but a place evaded him. But at the Summer races the "90 Long" fell to the Lanchester, after laps at 88.94, 108.27 and 109.46 m.p.h., holding off the accelerative Mulford Special. Cobb had a run in the car in August and at the Autumn Meeting Thomas took out the car, still painted in battleship grey, and was% placed third in the 100 m.p.h. Long Handicap, lapping at 85.13, 105.97 and 105.74 m.p.h. Nothing more came the way of the now ageing car but its record is excellent for one not far developed from the standard Lanchester Forty chassis. its fastest official lap being at nearly 110 m.p.h. I confess I always liked this particular Brooklands car. In the 1930s it was to be seen in Great Portland Street, where a dealer was attempting to sell it. When they were moving cars around in the showroom it would sometimes be left at the kerb, a remarkable contrast to the passing touring cars and omnibuses. Some people have likened the long single-seater in its drab finish to an armoured car or other oddity but to me it was a perfectly fascinating outer-circuit racer. So I enquired the price. 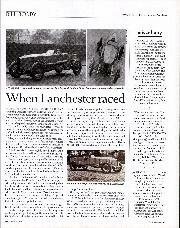 It was far too much for me in those days, although modest enough because the Lanchester was now too old for Brooklands, too high-geared for sprints (although it or its sister had run at Shelsley Walsh on one occasion), and the VSCC had not been formed; it had no active future and soon returned to Mrs. Rapson's place at Eastbourne. She promised me first refusal should she decide to dispose of it, but apparently forgot, because during the war it was broken up, on new racing tyres and in good racing trim. This is something l shall never cease to regret . . .
As for Rapson tyres, at the end of 1925 Mr. Rapson had to rest .due to ill-health, an example, perhaps, of an industrious man burning himself out, and the manufacture of his tyres was taken over by the North British Rubber Co. By 1926 the name of Rapson had gone from the tyre trade. 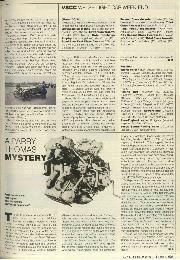 Mr. Rapson appears to have lost interest in motor racing after Parry Thomas' death in 1927 and his Lanchester never raced again. And so this story conies to a close . . . It would be interesting to know whether anyone still uses a Rapson jack or tyre pump or other piece of equipment. If they do, they possess a souvenir of a remarkable man, who as particularly prominent in the tyre war which raged after the Armistice.-W.B. How did The Leyland Eight rate? The Rapson Automobile Patents Company Ltd.